A new race of beings will now populate your Minecraft. 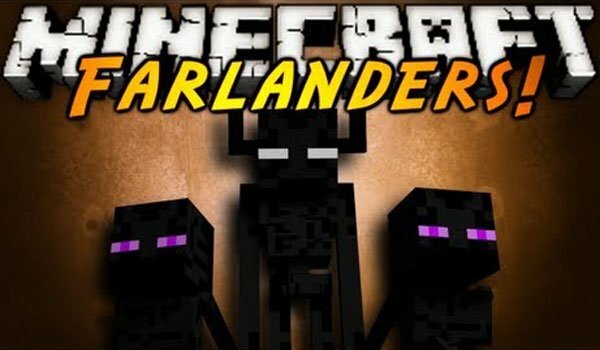 The Farlanders 1.7.2 and 1.7.10 is a mod that adds new creatures to Minecraft, but all are of the same species and very similar to Enderman, his name is Farlanders, there are different variants of these beings. These new beings, we allow two things, firstly increase Minecraft battles, as some are hostile and on the other hand, increasing trade opportunities Minecraft, as some of them are merchants, as the villagers. Trade with them using a new mineral that adds the mod: ruby. Besides these beings, or some of them, will have their own houses, so the mod will generate new structures. How to install The Farlanders Mod for Minecraft 1.7.2 and 1.7.10? Double click the downloaded file to run the Forge installer. Paste the downloaded file inside mod .minecraft / mods folder. Minecraftings is a website to download mods, download textures, download maps, as well as the latest news and updates. Trough our website Minecraftings.com, we do not give any possibility to download Minecraft, only are giving exclusively the links, towards servers, given by the authors of mods, textures and maps, 100% free.